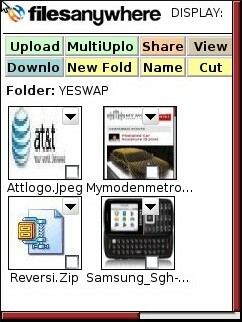 Found on the Mobile Web is a weekly WAP Review feature listing newly added and updated sites on the YesWAP.com mobile portal and WapReview mobile site directory. 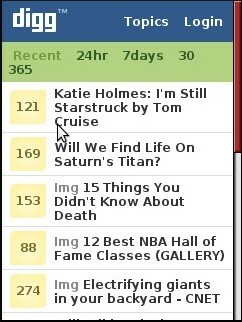 With these latest additions the directory and portal now list 2319 mobile sites. Digg Mobile m.digg.com Digg has a new mobile interface. This one supplements rather than replaces Digg’s first mobile site, the bare bones Dig River. Unlike the River, which is a read only list of the top Diggs, this one lets you Digg and favorite items and view and leave comments. 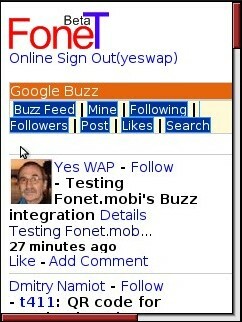 Fonet fonet.mobi Mobile portal and social network Fonet now features Google Buzz integration. Fonet users can view their Buzz timeline and post Buzzes without leaving Fonet.This is the first third party mobile web based Buzz client I’ve seen. Buzz is just the latest in a long list of online services and social networks, including Facebook, Twitter, Linkedin, Friendfeed, Flickr, YouTube, Picasa, Google Calendar and Docs, Delicious.com and Tripit that Fonet integrates with. A customizable mobile portal with mobile web directory and the ability to add your own links and RSS feeds. A personal information manager (PIM) with online phonebook, to do list, contact manager and cloud storage. Airbnb airbnb.com A person to person service for finding vacation apartments and homes around the world. Property owners post listings of available rentals. Travelers can view listings by date, location and price and contact hosts and make deposits by credit card or PayPal. The site also has user reviews of listed rentals. 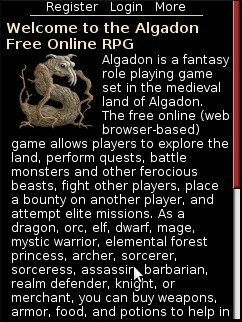 I’m a little disappointed by Airnb’s mobile site which is limited to messaging between hosts and travelers. Registration, placing a listing, searching for a rentals and making reservations all require using the desktop site. 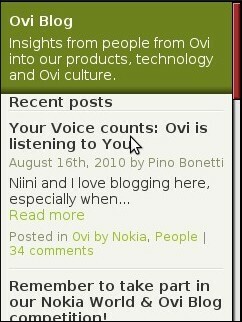 Ovi Blog blog.ovi.com The official Ovi Blog now has a mobile version created with WordPress Mobile Pack. The site has tips and tricks for using Ovi services, product release announcements, polls and contests to win free stuff. The current contest is for a trip to Nokia World in London. including accommodations and airfare from anywhere in the world! My Modern Metropolis mymodernmet.mobify.me An art blog and art lover’s network. Covers fine art, architecture, photography, music and more. Best feature is the site’s numerous images of art objects Mobile View by Mobify. This entry was posted in Found on the Mobile Web and tagged clould storage, FOME, Mobile games, Nokia, Tech, tennis, Twitter by Dennis Bournique. Bookmark the permalink. WOW! There are so many people all over the internet asking what prepaid plan they should get. This is the most excellent answer I’ve encountered yet! Thank you!